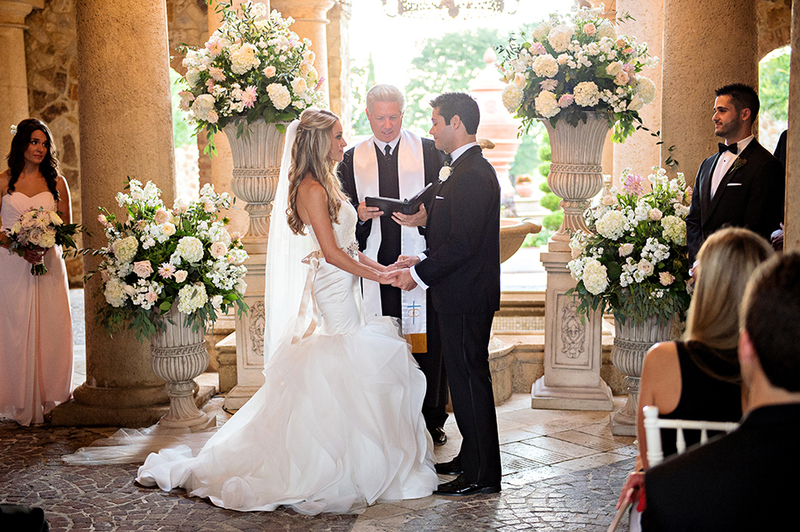 Sherri & Frank’s wedding was a fairy tale wedding for the perfect fairy tale couple. They are a beautiful couple not only on the outside but sweet as can be. When Sherri contacted us she knew exactly what she wanted for her wedding day. It’s always so interesting to us how some couples know exactly what they are looking for and some have no idea and want us to create everything. We love it! Sherri and her bridesmaids were amazingly beautiful! We loved their blush and lace robes. The floral for the ceremony was stunning. This looks more like a styled shoot then a real wedding. I feel like this is an iconic picture. JIm Hjelm reposted it and so did The Knot! 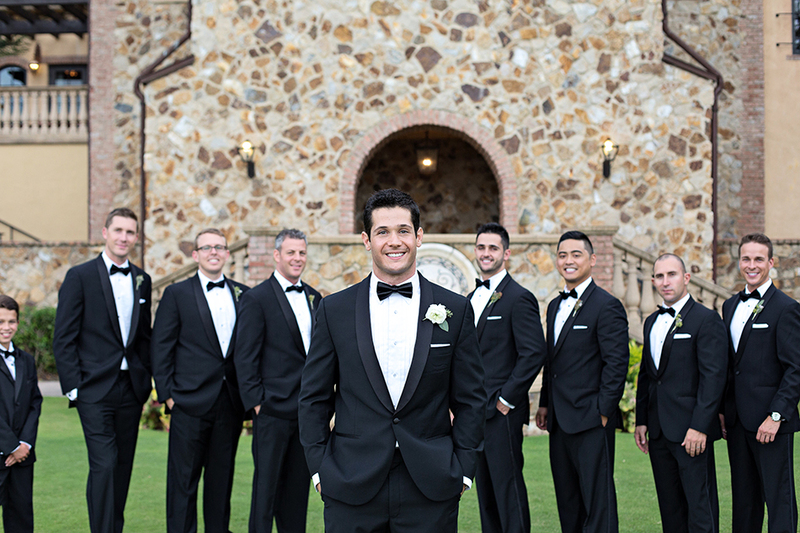 We love that Sherri & Frank wanted to use the the natural feel of Bella Collina in the wedding. 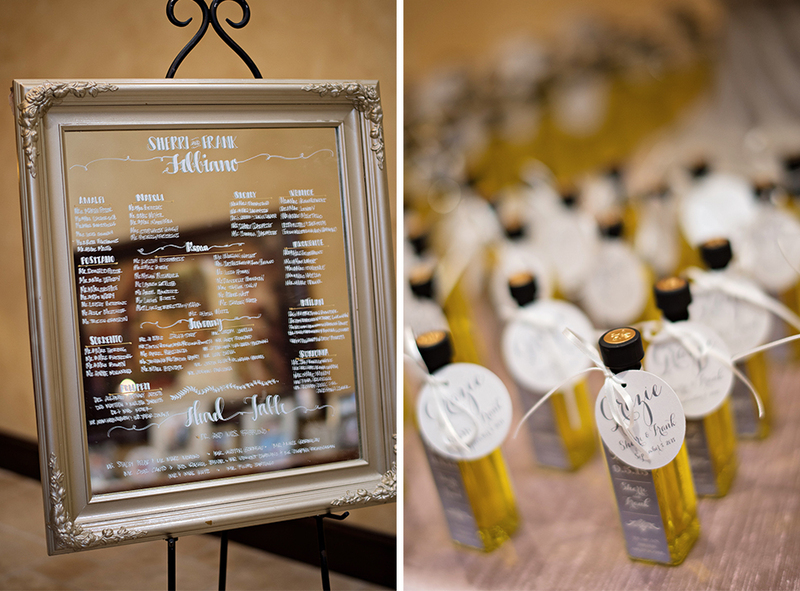 They age guests bottles of olive oil for their favors and even their table names kept with the Tuscan style. 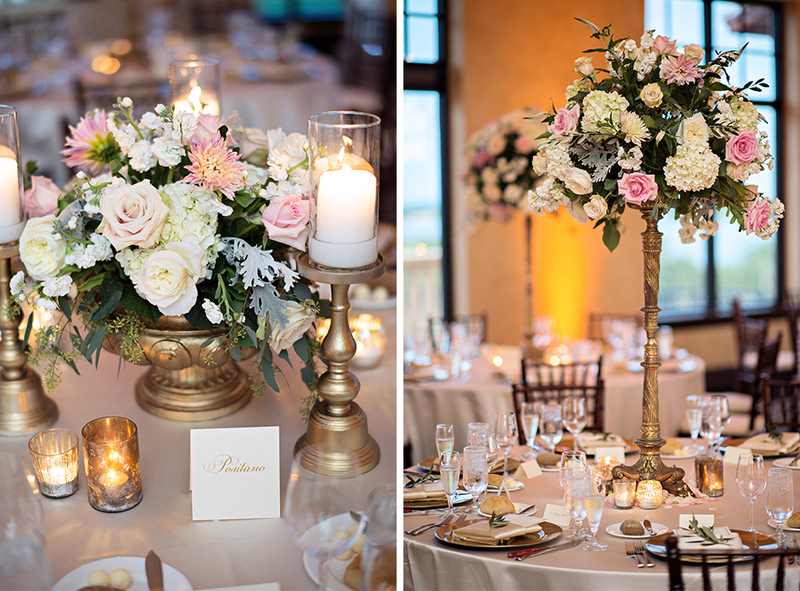 We loved the soft floral with gold accents.